Your body's natural responses to inflammation are important because inflammation has an effect on every cell in your body. As the aging process sets in, keeping this natural response at optimal health grows in importance because it's crucial to maintaining full-body health. Cytokine Suppress with EGCG from Life Extension delivers all-natural support to help keep your body's natural inflammation responses at optimal health, even as you age. 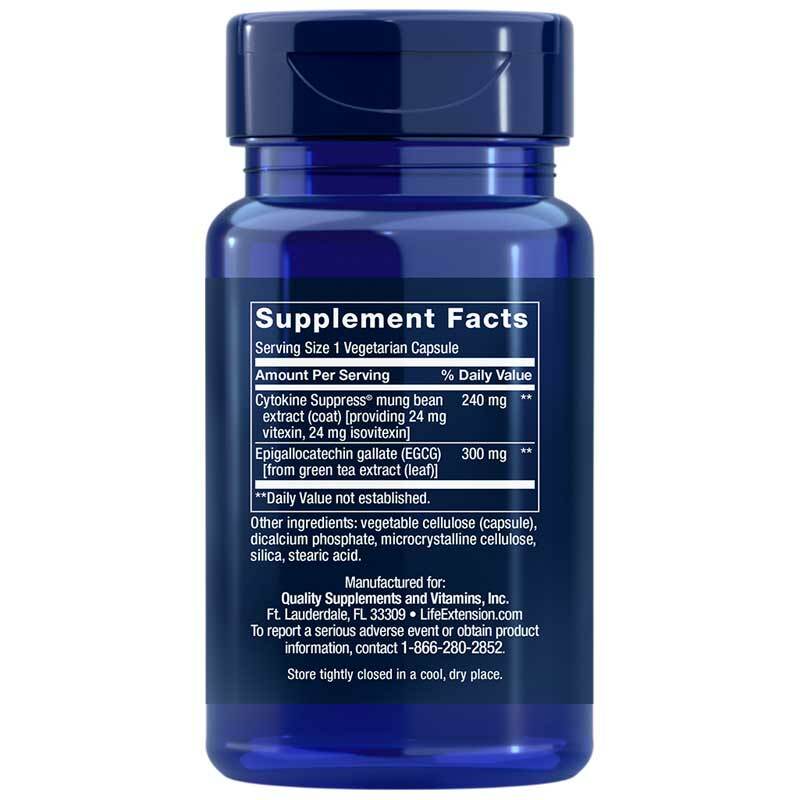 Cytokine Suppress comes in an easy-to-swallow capsule form and only needs to be taken once every day for optimal benefit. Support your health the natural way. 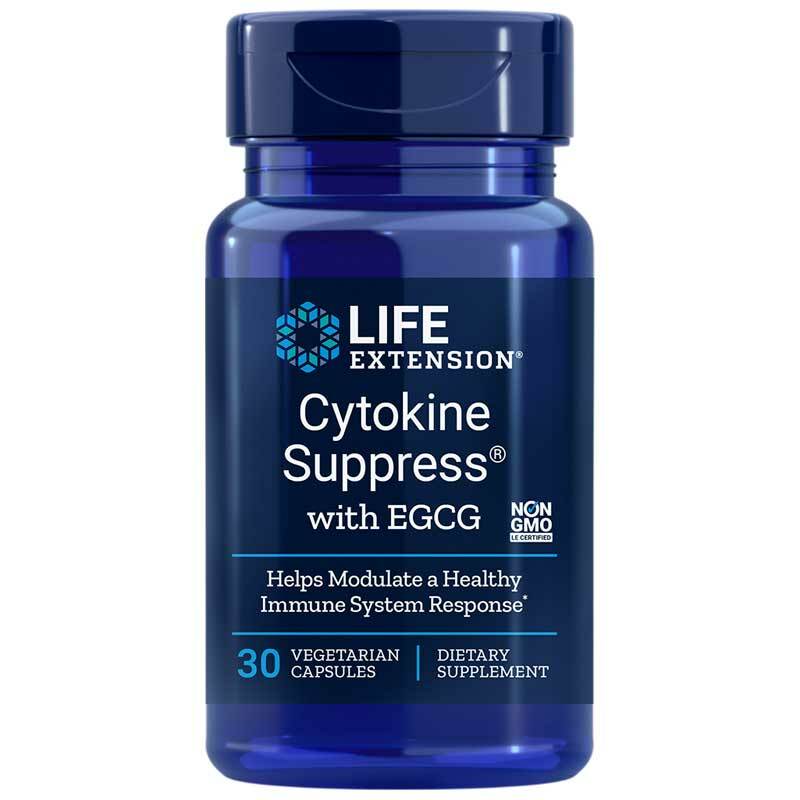 Start using Life Extension's Cytokine Suppress with EGCG today to boost your natural responses to inflammation, and stay on the pathway to optimal overall health and improved wellness. Adults: Take one capsule daily without food, or as recommended by a healthcare practitioner.